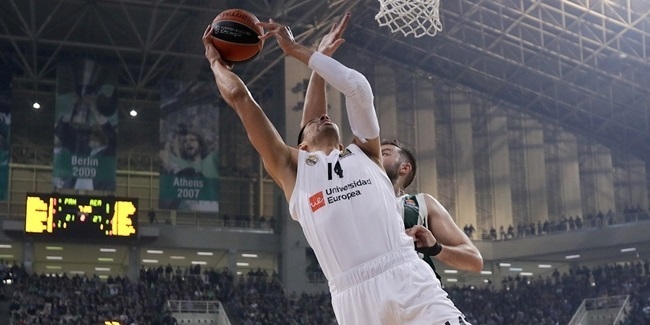 Real Madrid starts the 2018-19 Turkish Airlines EuroLeague with one goal: to successfully defend the title. Madrid is the winningest team in continental basketball history with 10 European crowns, but has not repeated as EuroLeague champion since 1968. Los Blancos will have to travel a tough road to achieve that goal. Here are some key dates for Madrid along the way. Real Madrid takes on Darussafaka Istanbul in the opening round, in a battle between the EuroLeague and the 7DAYS EuroCup champion. Darussafaka got a rare playoff road win in its last visit to WiZink Center, 80-84, back in 2017, but Madrid ended up bouncing back with a pair of road wins to get to the Final Four. It is also a chance to see two of the best African centers in basketball, Walter Tavares of Madrid and Michael Eric of Darussafaka, face to face. Madrid will try to display its power as early as possible, showing it will be hard to beat the champion. Madrid plays three of its first four games at home in October, but faces a tough test in its first game in November. 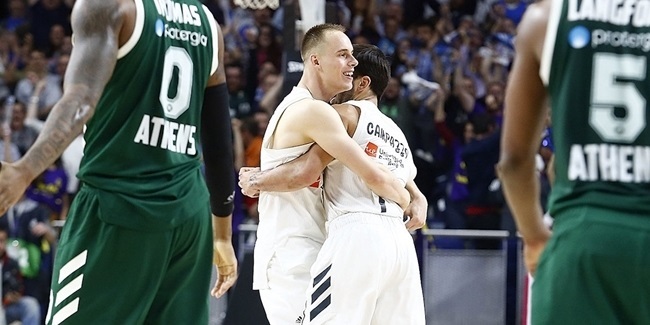 Los Blancos will play against Zalgiris Kaunas on the road, in front of thousands of fans for which basketball is a religion and who are always willing to give their team the extra energy they need. Madrid has done well previously in Kaunas, where it has won nine of its last 10 games, but that will only motivate Zalgiris even more. Tough road wins are always very valuable - and this would be one of them if Madrid triumphs. It needs no further explanation. When Real Madrid and FC Barcelona Lassa share the same basketball court, you know good things are about to happen. Theirs is a legendary sports rivalry that goes back many decades, and it is always a must-win game for the home team. 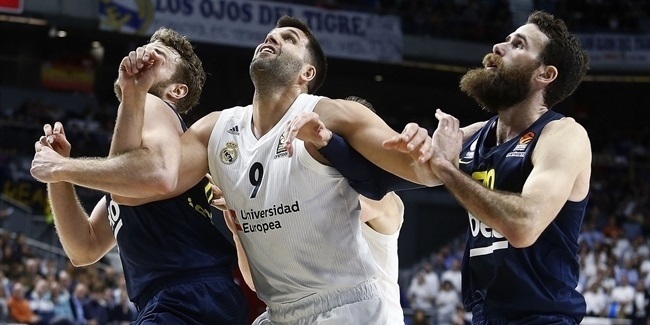 Madrid hosts Barcelona in the Spanish capital; Los Blancos won their last two EuroLeague showdowns at WiZink Center, but these teams face each other many times every year. There will be little room for surprises and anything can happen. Only one thing is certain: what a great game to watch! For any EuroLeague champion, facing the team you beat in the championship game for the first time the following season is always a big challenge. Of course, Fenerbahce Istanbul will be eager to please its fans with an important win in the team's final EuroLeague game in 2018. Madrid already managed to win in Istanbul last season and in doing so snapped a four-game road losing streak against Fenerbahce. It's an important showdown with two outstanding coaches, great players on both sides of the court and one of the best atmospheres in basketball. The history between Real Madrid and CSKA Moscow goes a long way back; their first matchup was in the 1963 EuroLeague final. They met again in the 1965 and 1969 finals, and both CSKA and Madrid have managed to stay relevant throughout the years, while facing each other dozens of times. The two teams combine for 17 EuroLeague trophies and have ranked first at the end of the regular season (Madrid in 2017, CSKA in 2018) in the last couple of years. A win will give the victor a big boost in the final rounds of the regular season.